As an entering Masters of Social Work student at the University of Minnesota, when I reflect on my undergraduate career at St. Catherine University I am still grateful for the humanities courses I took. A psychology major who participated in primary research in undergrad, I would not be the researcher, student, or human being I am today without the strong framework I gained from a deep exploration of the humanities. My hopes in sharing my learning experiences is this: when faculty and administrators think about reducing the humanities requirements for science, math and non-humanities majors they remember how humanities courses provide students with a frame of reference necessary for more fully understanding humankind’s struggles. 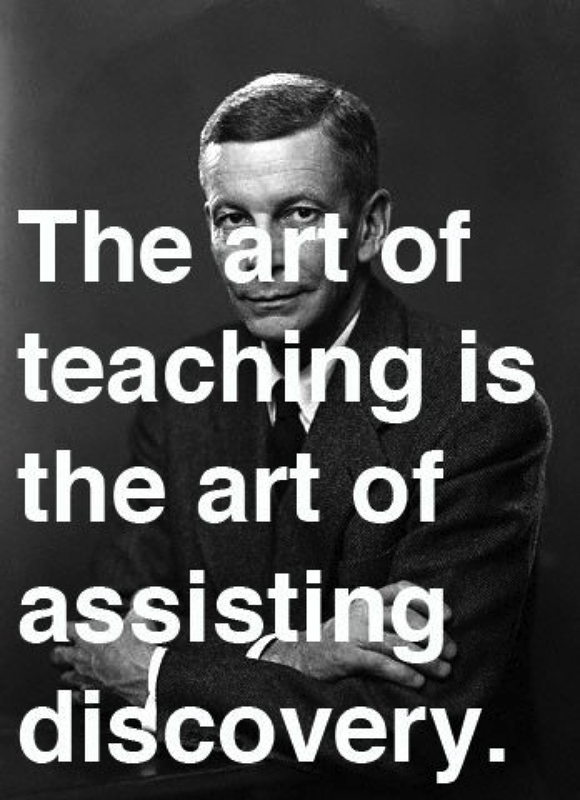 As English, history, and philosophy departments grow smaller and increasingly underfunded and undervalued, I want those responsible for allocating funds to know the type of knowledge learned in such programs is not insignificant, but key in helping students understand complex human issues, and in choosing a direction for applying what they’ve learned. 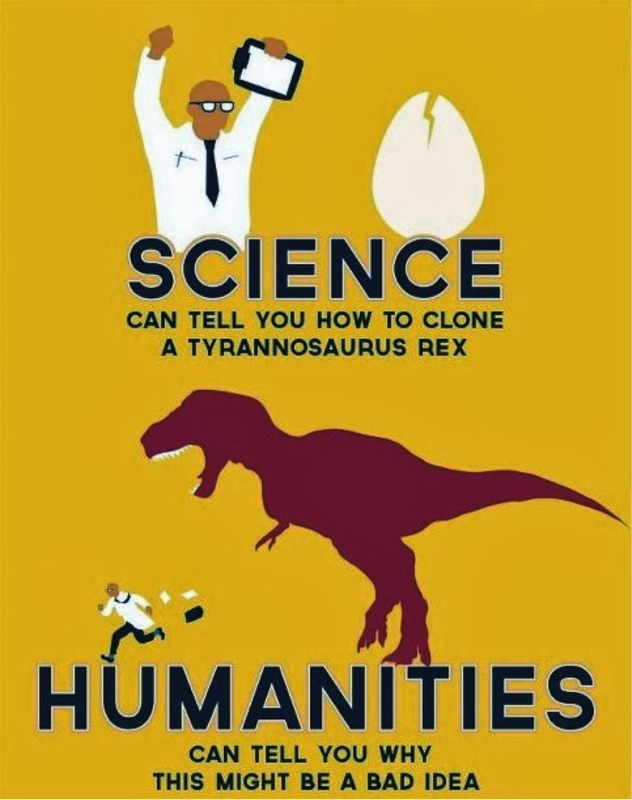 I hope when faculty hear non-humanities majors complain about humanities courses and humanities majors complain about science and math courses, faculty will show them how important it is to peek behind the scope of each discipline to better understand interconnections across educational perspectives. The knowledge learned through the liberal education combines a strong humanities base with equally important lessons learned in science and math disciplines. I offer my story of how pivotal literature, history and linguistics were in helping me understand race – as the example in this essay – so that we in the University of Minnesota renew our understanding of and commitment to the essential roles that liberal education, especially humanities courses, plays in learning and teaching – whatever our disciplines. The liberal arts never made sense to me until my final year in undergrad when I decided at the last minute to minor in English. Honestly, I didn’t know what a liberal arts education meant; I just knew others believed it was a type of education worth spending large sums of money on. Remembering my mom’s voice, I was 17 again, trying to decide where I wanted to go to school: “Wherever you go, it has to be a liberal arts college. That’s all that matters.” I went to a liberal arts university, yet what she had been talking about didn’t hit me until after my first literature course during my senior year. Why is that? My psychology major had provided a distinct way of seeing the world. I remember when I first started hanging out with English majors, I felt a bit superior—I was the only one who knew about the importance of research. The past four years I had spent listening to my psych professors emphasize the belief that research was the way to make the world go round, and if you weren’t part of it, I felt, you were somehow unimportant, or unnecessary. Compared to my new group of friends with English backgrounds, my psychology background was more valuable—I thought—because I had experience conducting primary research. What I didn’t understand, though, is it wasn’t that my new friends knew nothing; they knew something that I had not yet learned, knowledge equally important. When I was a sophomore I thought I would minor in history, so I took four courses before I realized I wasn’t as intrinsically motivated to study history as I had thought. Because I took multiple history courses, my college experience was richer than it would have been otherwise. The strong foundation in history provided the connections I needed later on for those “aha” moments, when the light goes on with a new insight from a perspective you’ve never seen before. Those moments -the “aha” that takes shape as students engage a plethora of equally right, knowledge-based perspectives they have not yet encountered – are evidence of the importance of the liberal education requirements. When I took St. Kate’s senior core curriculum course, Global Search for Justice (GSJ): Dismantling Racism, I knew little of racism. The professor never really explained why racism was alive and well, but she provided strong evidence for its current existence. She assumed—as she should—we had the background we needed to make the connections. However, I think a few of us may have missed the point; I know some of my classmates left her course still firmly believing “everybody has the same chance at success. They just need to work harder.” Because of the history courses I had taken, however, I saw the relationships between historical traumas of the past and the current situations of the African American culture as a whole. Somewhere in the middle of our class trip to New Orleans I made the connections to slavery, the black codes, Jim Crow, the Civil Rights era and African Americans’ unjust overrepresentation in prison and under representation in college—and my life changed. I knew something happened that would fundamentally alter my world perspectives, but I was unable to articulate it until almost a year later. The English course Literary Theory and Practice was the class that brought all that I had learned from history and GSJ to light once again in a different format, allowing me to articulate my new insights in yet another framework. When we read Beloved in my Lit Theory course, I didn’t notice the aspects of magical realism, or realize the book was fiction. Instead, I saw real concepts and consequences at play when a woman, Sethe, who had escaped from slavery, kills her child in a moment of panic and desperation; I understood her decision and empathized with her on a level I had never felt before. I understood because I recognized the relationship between her past and her reality—something I understood from history and psychology. Because it was in literature, slavery was suddenly a real historical event to me. My reeling mind then jumped to lessons from my GSJ course—slave plantations had been turned into prisons; modern day slavery was alive and well on the grounds of Angola in the backwoods of Louisiana. Suddenly, I was able to identify the relationships between America’s past in slavery and the present, providing the big picture. I saw where certain social values originated and why they are still important. Because I was able to see the bigger picture, to see social values violated in real life and in literature, I was able to envision my place in the world—where I could grow and contribute meaningfully. Because I finally recognized for myself that racism was not only real, but thriving, I was compelled to identify my own contributions and hold myself to a new standard; I would find a career where I could continue to learn about this issue and combat its presence in American society. I was compelled to share this profound experience that had changed my life forever, but I needed a way to talk about it. I returned to psychology for a course called History and Systems, where students are required to write a research paper about any topic they choose within the history of psychology. I remembered my friend who enjoyed discussing Family Systems, theories about one’s current state of being originating from a pattern within one’s family; family patterns may influence your current situation whether you are aware of it, or not. I wondered about applying Family Systems theory to African American families today. Specifically, I remembered a quote from the lead male character in Beloved, Paul D, about not being able to remain in one place for long. Prior to his freedom, Paul D’s slave owners sold him often; on his own he repeated the migratory pattern. He traveled without any home base other than where he had been held captive. I thought about African Americans and whether slavery influenced present family patterns. I could hear my GSJ professor’s voice repeatedly uttering the phrase ‘plantations to prisons,’ and speculated whether prisons are modern day representations of slave owners. Again, my world was turned upside down. Psychology had provided yet another way of understanding Paul D as a character and of considering the author’s message, a gift only a liberal arts education can give. When I entered St. Kate’s as a privileged white girl from Boise, Idaho, my understanding of racism was a distinctly white privilege perspective, that you are only racist if you hold hate in your heart. What I learned is there’s a lot more to it. Learning about race from multiple perspectives—from history’s perspective through slave narratives, the black codes, or events in Selma, Alabama to understanding race through literature, making what I’d learned in history somehow more real, to psychological theories through Family Systems, helping me to understand why society is where it is today, to a direct confrontation in Global Search for Justice, forcing me to reconcile where I would stand in the fight, and later through linguistics to understand its perpetuation through institutions today – including education at all levels – I learned racism is inseparable from who many of us have been taught to be. I am still a privileged white woman, but I understand that multiple perspectives are necessary to understand society’s bigger issues like racism. Only through numerous contexts was I able to begin to synthesize a holistic understanding of such a complex issue – an understanding vital to my work in psychology as a social science, and to Social Work as a multifaceted discipline whose work and alumni impact multiple communities. Each discipline in the liberal arts provides a new lens with which to see the world. Sitting on a bench outside my university’s student building before my graduation, I’d overhear conversations of students walking by and pull concepts from different disciplines to consider new questions. Overhearing students speak of interpersonal conflicts, I’d question what roles attachment style plays in friendship; or I’d hear students complaining about grading from professor so-and-so and draw a parallel to Marxist literary theory, or ponder the role of white privilege on my own inclinations to continuously ponder. The issues explored in the humanities are not small; they are societal struggles that provide those with knowledge of their existence a larger meaning in life, a purposeful place where one can contribute to this world. A strong foundation in liberal education teaches students to integrate multiple lenses to see the big picture, to see innovative solutions to complex problems, and to better see one another’s perspectives. I realize that racism is not the only big issue, and learning through the liberal education format has given me the key to open new doors of knowledge, which will help me to understand the big societal pictures — sexism, classism and other forms of oppression — building upon my understanding of my role in society to whom I can be and maybe who I should be.